DESCRIPTION Convenience meets functional, equals fantastic value! Ideal for someone wanting a quick walk to the C-train station, amenities close by, and still close to the mountains. Located 10 min walk from the Tuscany C-train Station, picture yourself never having to fight for parking space again. Nested within the complex, and backs onto the community green space, this unit enjoys peace and quiet. Amenities at Royal Oak Estates is just a stone throw away. Upon entry is the 9' ceiling to provide spacious feel of the home. Featuring 2 bedrooms, a bonus room, and 2 and a half baths. The gas line for the BBQ at the balcony is a must. This property has all the functions of a large property in the format of a townhouse. The basement is unspoiled for your creativity, with no awkward positioned posts to spoil development. Imagine getting home sooner after work to have more free time. Imagine getting to the mountains sooner. This property is bound to impress. Book your private showing today. Home for sale at 47 Royal Mr Nw Calgary, Alberts T3G 5T5. 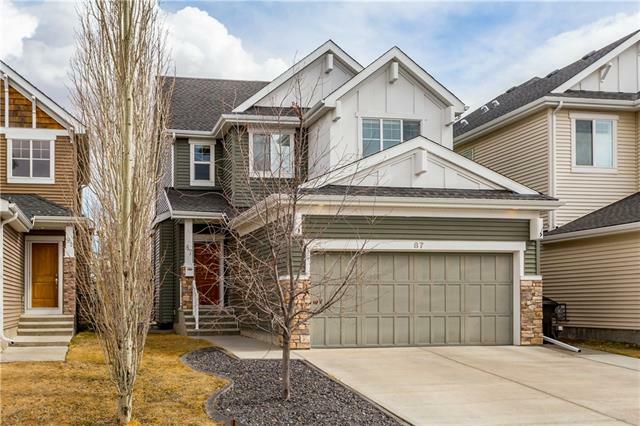 Description: The home at 47 Royal Mr Nw Calgary, Alberta T3G 5T5 with the MLS® Number C4237088 is currently listed at $345,000.